Whether you are looking to learn skills or transform your future, I can help you, your team or organisation meet your goals. Recent work includes; Action for Happiness / Save the Children / St. Olaves School / Guildford College / Middlesex University / University of East London / London School of Economics / International Positive Psychology Association / The Mountain Way / Birmingham Council and many more. Mindfulness practice brings benefits to your wellbeing, team and organisation. 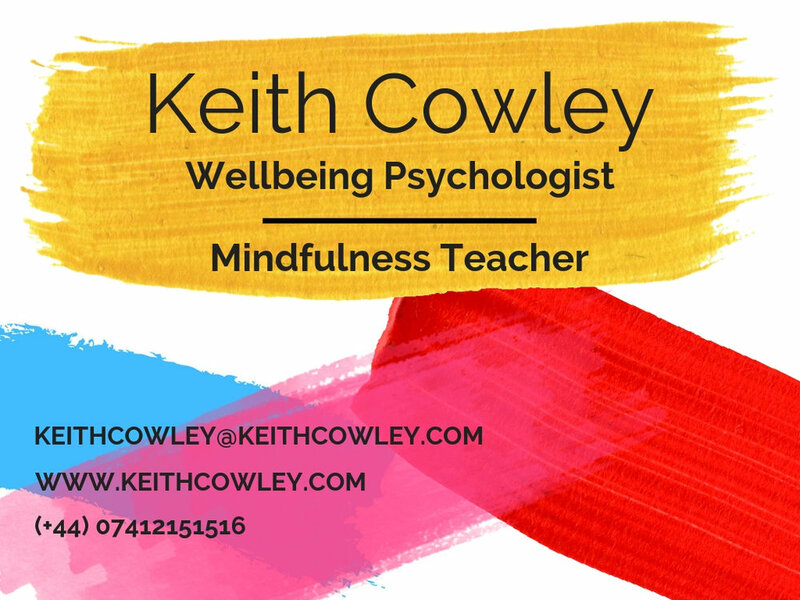 My mindfulness courses blend practise and theory, to give you or your teams both the knowledge of what mindfulness is and to develop a long lasting practise. Typically, the courses last four weeks combining 2 or 3 hour lessons and activities to practise between them. I cover many meditations and day-to-day activities that can help to create your practise that works for you. I have delivered this to organisations and teams who have gone on to feel the benefits including increased wellbeing, happiness and better relationships both at work and home. Whatever your needs are for delivering the training, I am flexible and we can work out the details. A skilled practitioner can teach techniques and skills to you, your team and orgnaisation to boost wellbeing both short and long term. The many benefits can be developed at both work and home by learning the skills and tools which help to feel positive, communicate well, have good relationships, achieve, plan and balance life and to lead your own life, team or organisation towards positive flourishing. My wellbeing training, workshops and courses blend theory and practise to give you and your teams both the knowledge of what wellbeing is and to develop a long lasting practise or culture. My approach is evidence based bringing cutting edge theory from positive psychology. A typical course may last four weeks combining 2 or 3 hour lessons and activities to practise between them. I cover many interventions and techniques which can be used day-to-day to help to create your practise that works for you. I have delivered these to organisations and teams who have gone on to feel the benefits including increased wellbeing, happiness and better relationships both at work and home. I have delivered many formats in many different ways and can assure you that whatever wellbeing support you or your business need, we can get there together. My coaching style is to be warm and engaging, blending psychology theory with practical goal setting techniques. I have worked with many wonderful people on goals big and small from a variety of backgrounds, creative industry, leadership in multinational business, families, those returning to work, farmers, nurses, builders, mums, teachers and many more. My best way of supporting you is to get to know you and work with your way of being to help you reach your goals. The only constant in life is change, so isn’t it better to get through change successfully? Maybe tomorrow, maybe next week it will be easier to start, when I’ve got some free time or feel a bit less stressed. I know I can do it, but why do I suddenly feel like running the other way when I think of starting? Suddenly everything else feels very important, phone calls, emails, the washing that has been there all week, tidying out messy drawers or going out to get something. Sound familiar? This is one of the many ways we avoid the big goals we want so much and promise ourselves we can and will do. Seriously, when did we start prioritising untidy sock drawers? Why does it feel so hard to - just start - what we know we’re so capable of? Why do we try so hard to talk ourselves out of what would take less energy and motivation to just begin? We often create narratives that take us away from challenge, but do we have to go with them? Take a moment to think about what it would be like to no longer have this chatter inside your head and the growing happiness you would feel inside to have gotten past this step? To be on your way to achieving your life goals. To have an entirely new relationship with your life. Engage with change, choose your goal, sit down with a coach and create a plan that can take you to the next stage in your life, at your own pace, in your own way, with the skilled support of a coach.